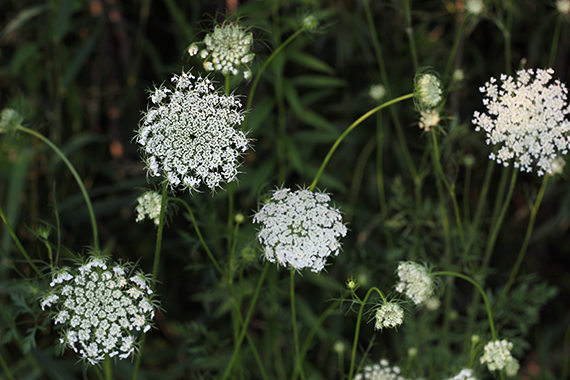 When I was a little girl, my dad used to take my sister and me on what we referred to as 'nature walks.' 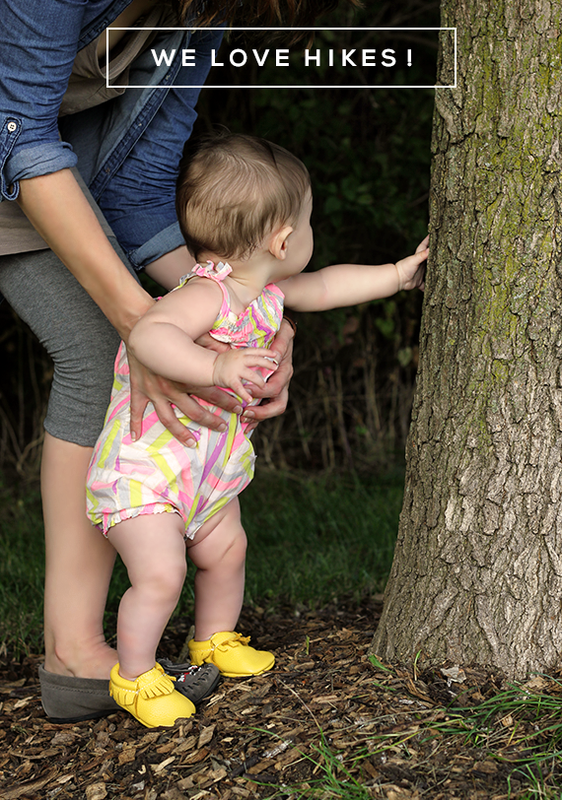 Technically, these were short hikes in local forest preserves and wooded parks, where we'd explore, search for treasures like rocks and sticks and leaves, and develop what would be a life-long appreciation for the outdoors. 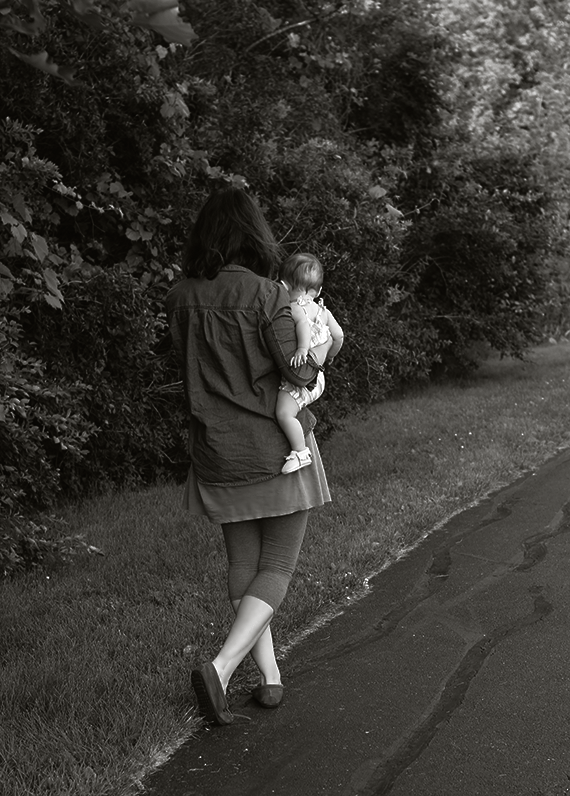 Now that I have a daughter of my own, we've begun to revisit this tradition by taking her out on mini hikes as well. She's only seven months old right now, so it's a different experience for her, but she is mesmerized every time. 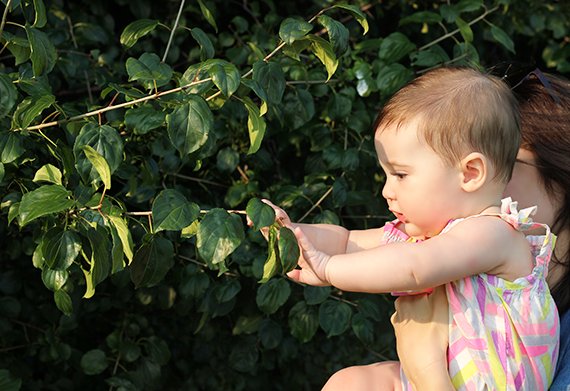 She loves looking around at the flowers and animals, listening to trees rustle in the wind, and feeling the textures of the leaves, bark, grasses, and rocks. As fun as these adventures in nature are for us, they ultimately end with a messy babe. Essley's adoration for touching everything we pass by on our hikes leaves her hands (and face, which she also loves to touch) covered in dirt. I remember needing to take a bath immediately after nearly every nature walk we took as kids, and that it could sometimes be quite the ordeal. Thankfully, we have an easier solution today that allows us to get Essley's little hands and face clean before we even get back home. I prefer to just carry a small backpack on these excursions, with a water bottle, a couple of diapers, a small blanket, and a container of Wet-Nap wipes. This ends up being all we need to enjoy the adventure and arrive back home in the same condition as when we left. With just a few swipes of a Wet-Nap, I'm able to clean my little one's hands and face (and sometimes arms, legs, and feet too!) at the end of a hike and avoid the need for an immediate bath. And that means more time to play (and more time for mommy and daddy to get their stuff done too) when we get back. 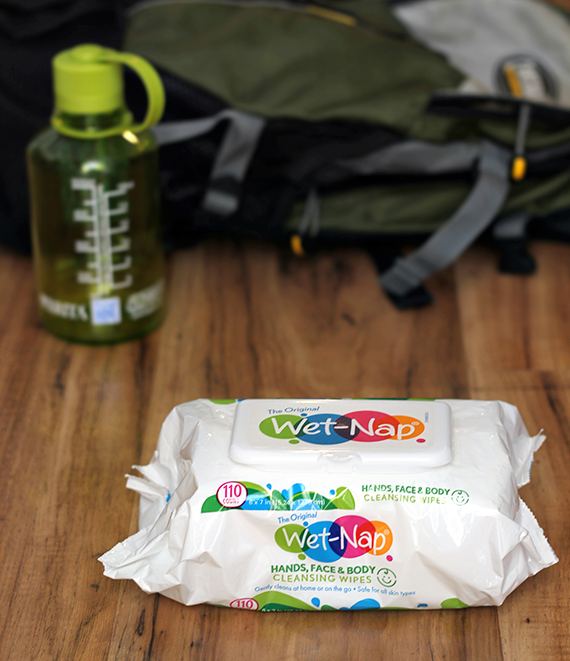 Wet-Nap wipes are great for keeping my husband's and my hands clean on our family hikes as well. Best of all, they're even stronger and softer than before, and they moisturize with aloe. If you're looking for a way to quickly clean up after an outdoor adventure, head to the napkin aisle at your local Walmart (where we got ours for a great deal, thanks to their everyday low prices) and pick up some Wet-Nap products of your own. If you need further incentive, here is a coupon for fifty five cents ($.55) off of any Wet-Nap product. Score! Who else is a fan of mini hikes in local nature areas? 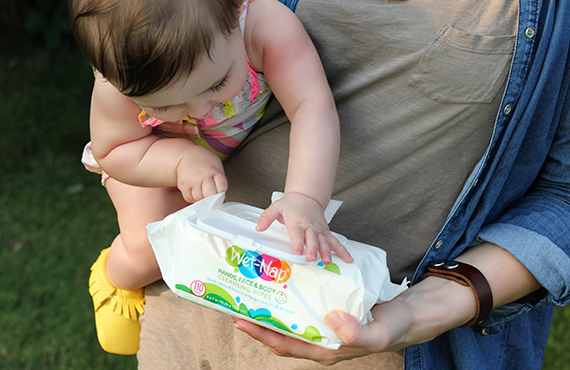 Have you tried Wet-Nap wipes for quick clean up after your outdoor adventures? I remember hiking up a mountain with my Dad when I was little. I enjoyed it back then, these days I'd rather go for walks through the park :) Those wet wipes sure are useful! Love that black and white photo of you two lovelies! These would be great to take on the river as well. I love that they have some aloe in them. Some other wipes can really dry out your skin! gosh. wish we hiked more! there is so much beauty to be admired in the ozarks! and yes! wipes! i was silly in my early motherhood and didn't use them (i had these cloth wipes for diapers etc etc) but once i started in one the real deal- i was hooked!!! i think i'll keep wipes around for all time now!